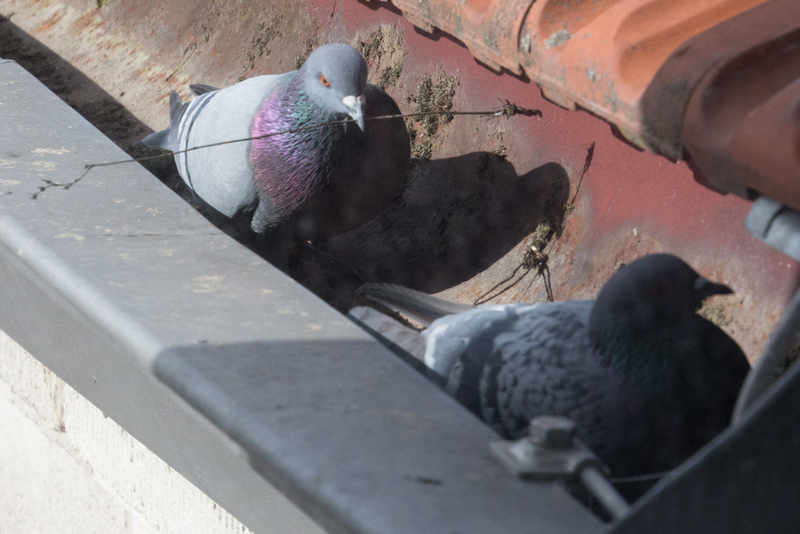 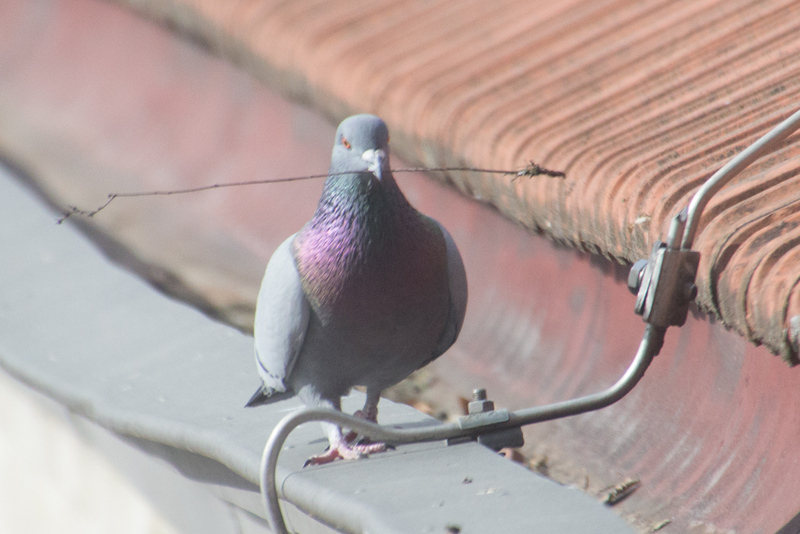 For a while I already noticed that a couple of pigeons has been examining the Glaspalast and was obviously quite attracted by the roof rails as a nesting site. 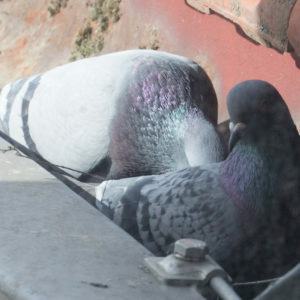 As background information for this: Pigeons form life long monogamous couples and get about 10 years old. 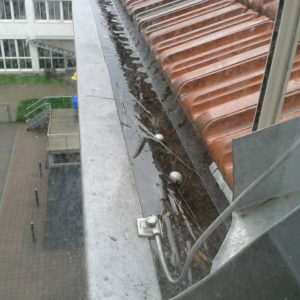 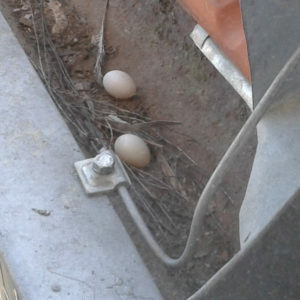 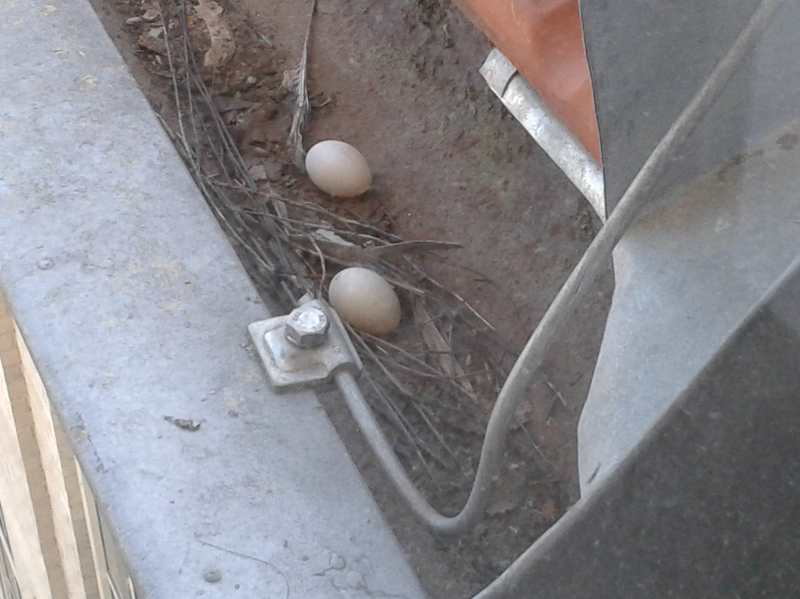 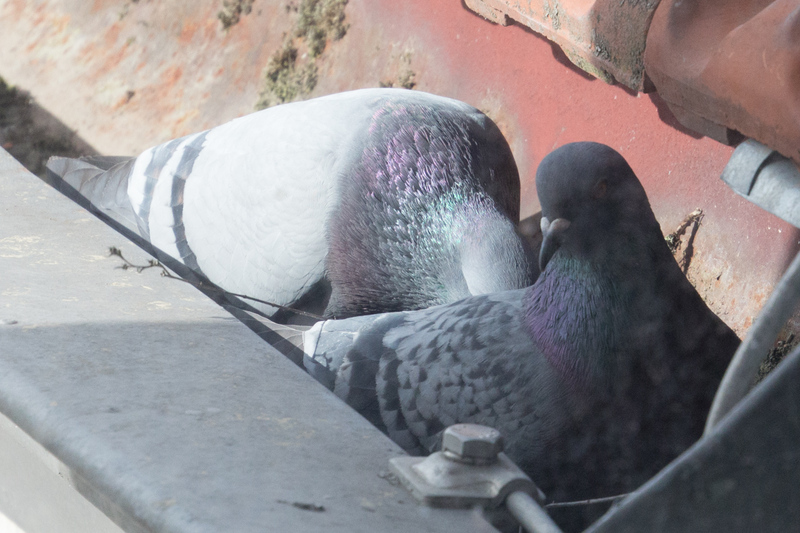 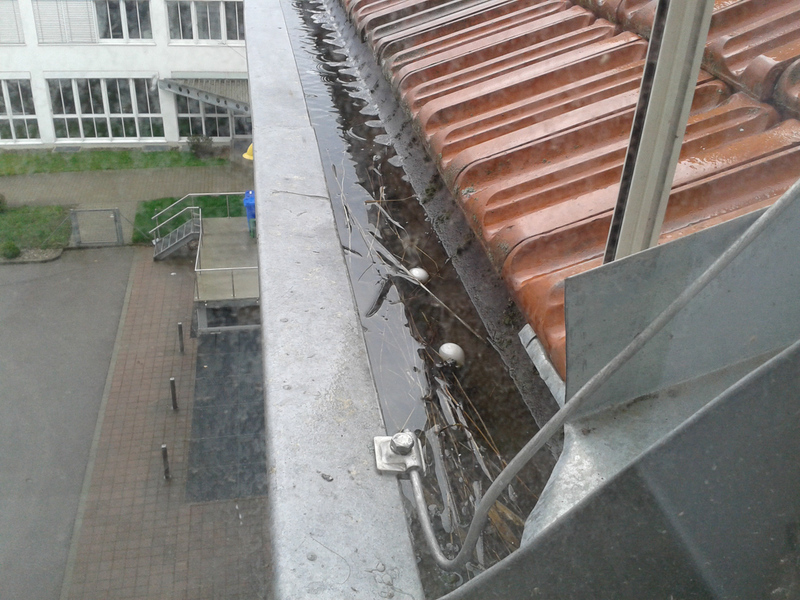 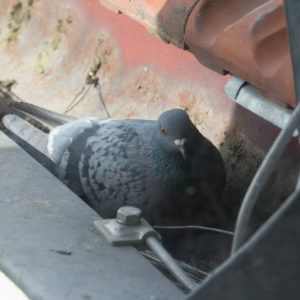 Therefore it was not so surprising as I saw one day that the couple started to nest right below our office window. 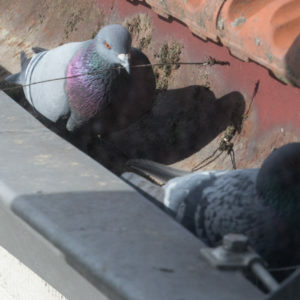 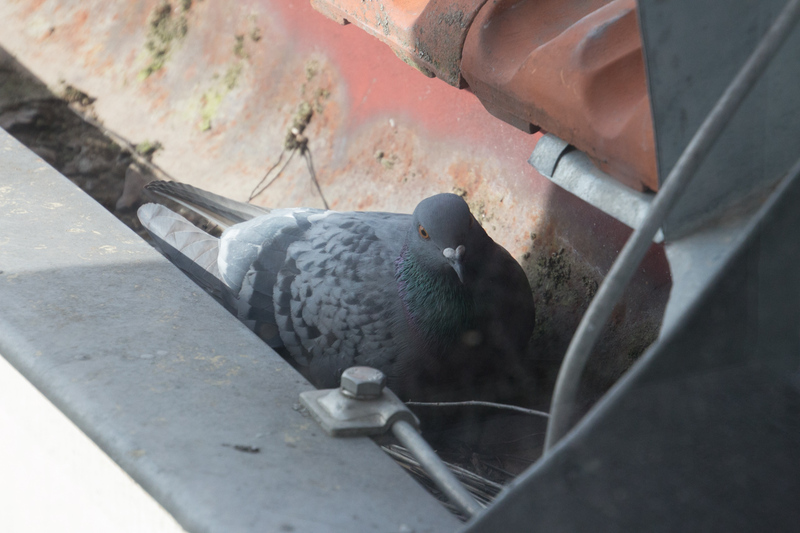 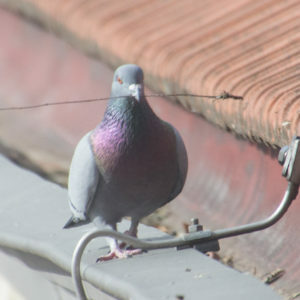 However the nest didn’t survive the rain at the end of the week – one will see if the pigeons learned from that and will try it somewhere else in the future.